Zonda reeds are the favorite of many discerning players. At Zonda, everything they do is designed to provide exceptional value to you in every way possible. Each Zonda reed cut was carefully selected from dozens of options. They represent the type of reed players use today in order to achieve the highest levels of musicianship. Zonda reeds are cut from the finest high nodal Argentinean cane. Argentine cane is widely regarded as equal to the much-heralded French cane of the last century in that it is not over-harvested. Simply put, Zonda reeds come from mature cane and are ready to play right now. The Supreme reed is a French cut reed of the highest quality. It features a slightly thinner tip on a thicker blank in order to maximize vibration. The result is a refined sound with character and definition. Every batch of Zonda reeds is play-tested by the board of advisors before release. Expect high quality performance and consistency. "Seal of quality" on the back of each box shows a lot number to track harvest date, plantation, and sub-strength for better quality control. 100% pesticide free. Many players find the ratio of "good" to "bad" reeds in a box to be unusually high with Zonda. They tend to have a dark and robust tone across all instruments. 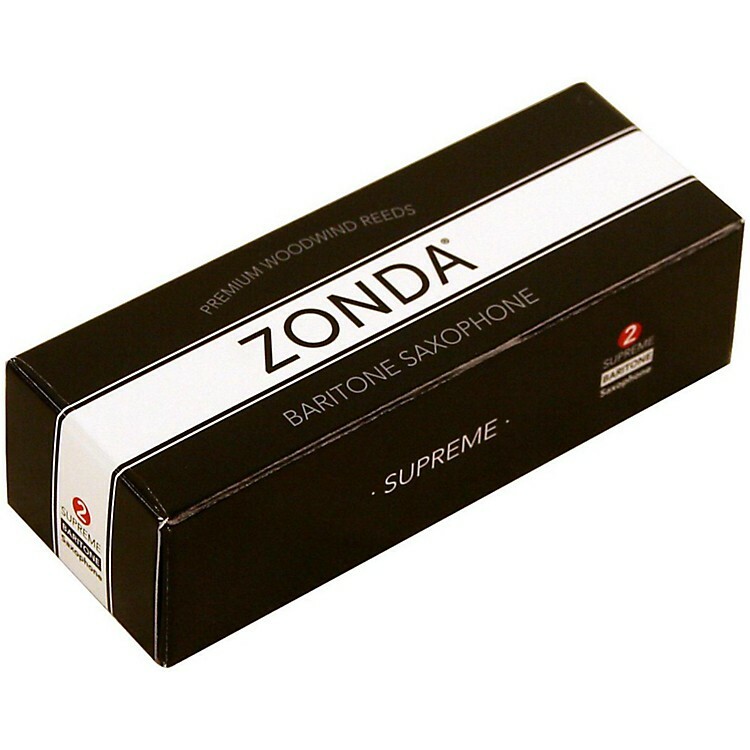 Order today and experience the quality and consistency of Zonda reeds.